With all the snow that falls at Mt. Bachelor near Bend, Oregon, it is not unusual to see a team of dogs racing across the snow with a sled filled with grinning faces. Come to Bend, Oregon and cruise through the dense forest behind a group of happy tails! 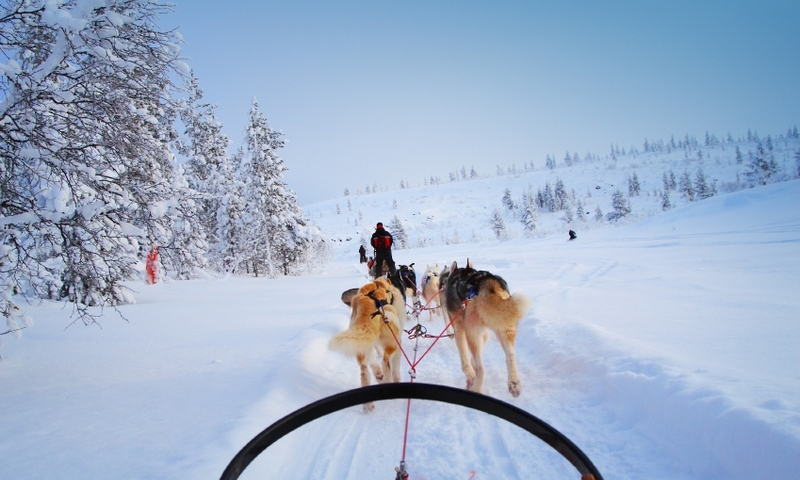 Find dog sledding opportunities here. Have a once in a lifetime experience with a real dog sled ride with an experienced musher driving for you.